"Because I'm happy".... Don't you just love that Pharell song? 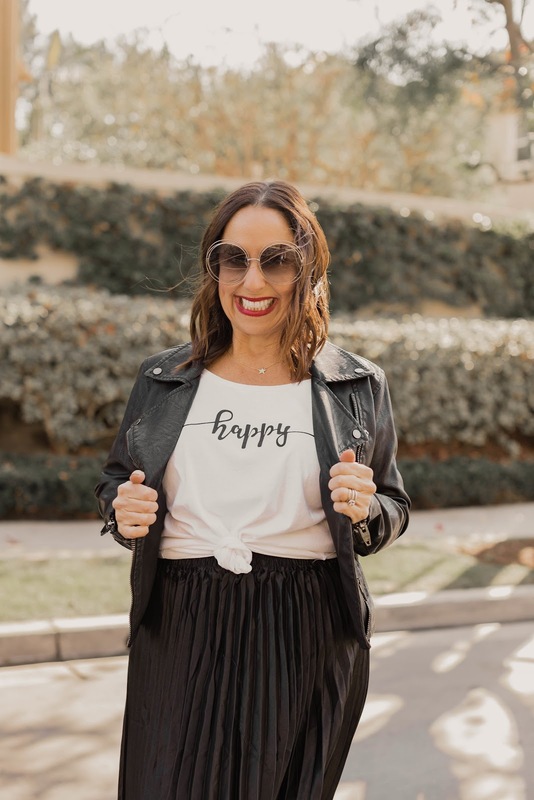 I love a good graphic tee, and this one with just the word happy was sooooo me. I knew when I saw it, I just had to have it. 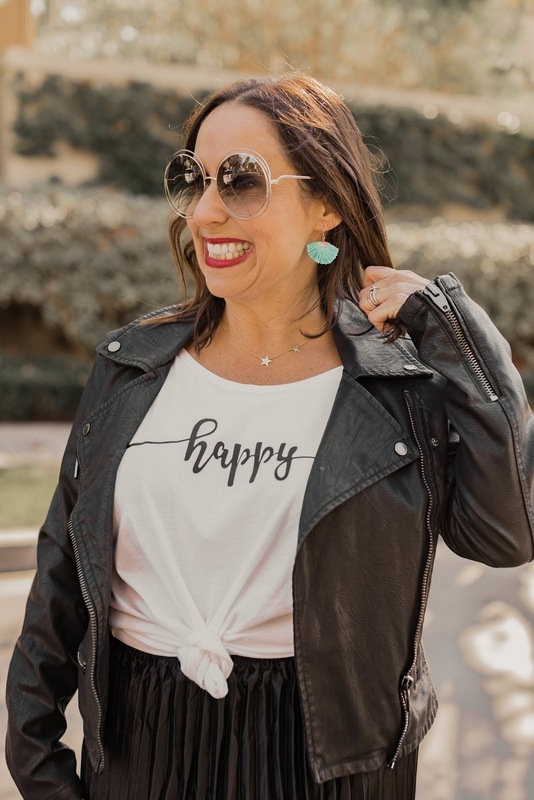 Ever since I can remember, the word happy has been my word. My parents raised me to look at the positive in all situations and to always try to be happy. And that is how I choose to live my life, so this t-shirt is the perfect expression of my motto. 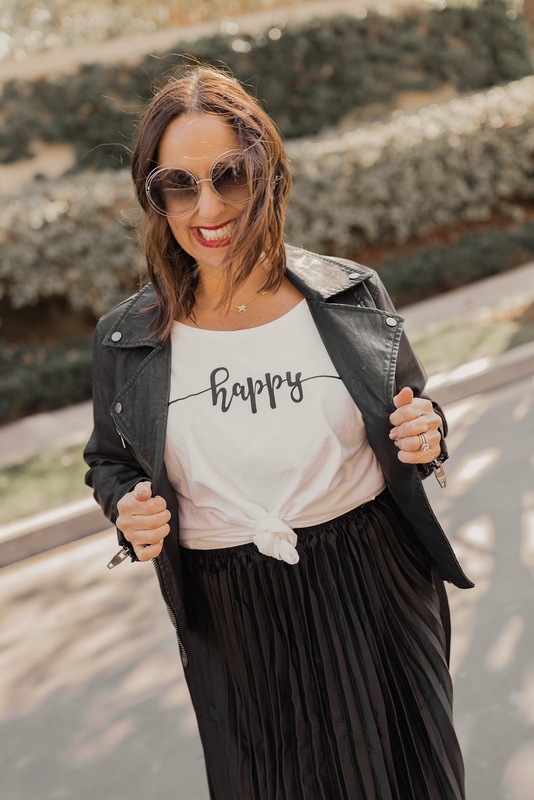 I paired this tee with a faux leather jacket, this cute full pleated skirt and my comfy heels. I think this is the cutest look and super easy to put together. 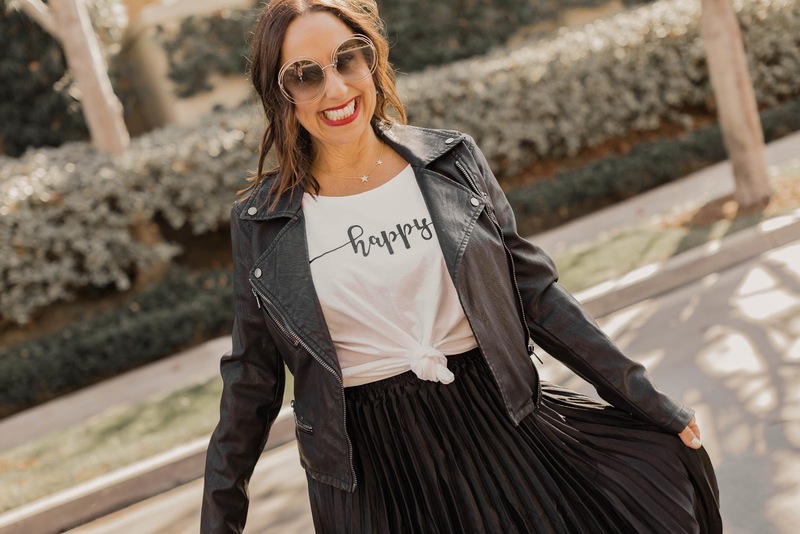 Stay tuned for more looks with my happy tee. I just love it and hope it inspires you to always look on the positive side. Thanks to Gabi Wells for photos. You can shop this look by clicking on the links above and Happy Reading!!! !